David Beckham looking on during a Southern Nevada Tourism Infrastructure Committee meeting at UNLV in Las Vegas, Nevada, April 28, 2016. 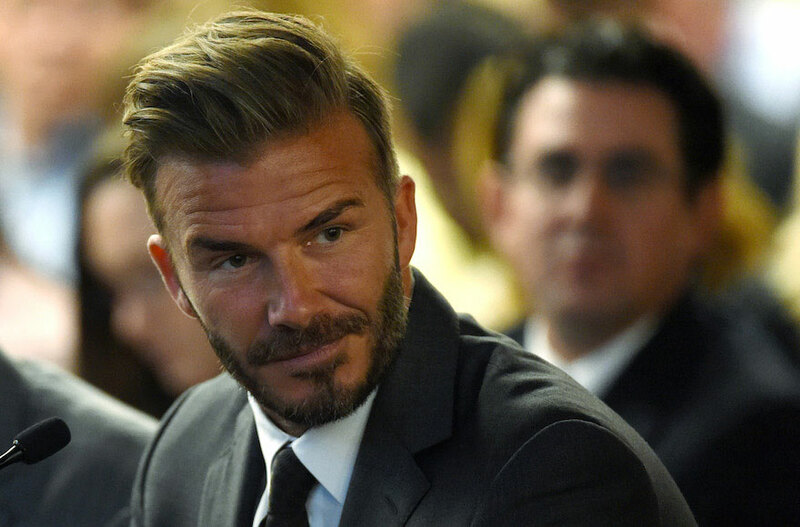 JTA — Former British soccer star David Beckham told a JCC audience in London that although he was not raised Jewish, he feels like a member of the tribe. The comment was interrupted by appreciative laughter before the iconic ex-player continued. “I was never brought up Jewish, but like I said, my grandfather was, and every time we went to synagogue I was part of that,” Beckham said. Some 270 guests, who won tickets in a ballot, attended the Q&A with the former midfielder, who made several references to his Jewish grandfather. He said he was saddened by the fact that only his oldest son, Brooklyn, had strong memories of the grandfather. Beckham, who also played pro soccer in the United States and France, was appearing at JW3 in his capacity as a UNICEF ambassador, and made it clear his involvement with the charity — which now includes his own Seven Fund — is his main focus and “passion.” He returned from a trip to Swaziland last week.